Fair. 0060281375 ALL BOOKS SHIPPED WITHIN 1 DAY OF PURCHASE! Very Good. 0007100248 ALL BOOKS SHIPPED WITHIN 1 DAY OF PURCHASE! Very Good. 026167045X ALL BOOKS SHIPPED WITHIN 1 DAY OF PURCHASE! Good. 026167045X ALL BOOKS SHIPPED WITHIN 1 DAY OF PURCHASE! A great collection! Beautiful illustrations. A must have! 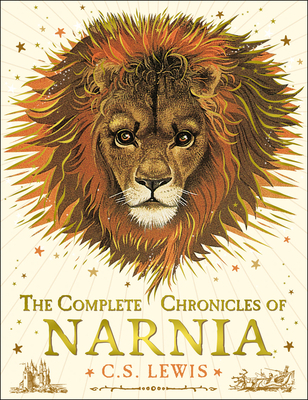 This special edition, of The Complete Chronicles of Narnia is a must have edition for Narnia Fans or anyone who loves reading classic fairytale literature. It includes all seven books in a nice hardcover sewn binding with beautifull colored artwork all through it. The cover as well as the dust jacket, is decorated by a detailed color map of narnia. The book is very nice looking and well made, and the stories inside it will be cherished for generations to come. The only thing that I think would have made this edtion better for me would be to have had the books in published order instead of chronological order, or at least in the contents have the year that each book was published written next to each title. But other than that, this is a wonderful complete edition of all the books, and a great addition to anyone's library or collection. it's story.. and the journies and tales that take place in it..
i've always heard about books taking you places.. how can you enjoy amazing experiences through the pages of a book..
well in this book, it's true..!